Features heavy duty performance in a compact 18 inch table top format. Produce high quality, precision output that comparable machines cannot match. Micro-perforation, digital crack free scoring, slitting, and many other operations are all possible on this versatile unit. Built with the structural integrity and performance capabilities that are synonymous with the name "TrueLine" – a name recognized in the industry for nearly 50 years. The fastest, most accurate machines in their class. Heavy duty frames and shafts are guaranteed to produce high quality, precision output that competing machines cannot match. Variable speeds up to 24,000 feet per hour make short work of large jobs. 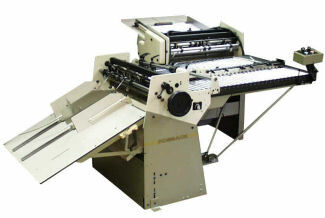 Micro- perforation, digital crack free scoring, slitting, and many other operations are quick and easy on these versatile units. The Model 220B has 20" cutting shafts, while the Model 223B has 26" shafts and shaft supports for demanding applications. 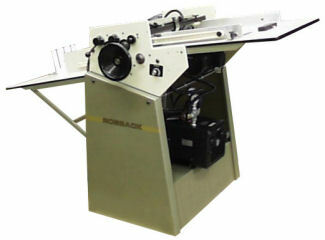 The Model 226B features two sets of 26" cutting shafts with shaft supports for maximum versatility. Models are available in both friction and vacuum feed, and feature a variety of delivery options. Built with the structural integrity and performance capabilities that are synonymous with the name "TrueLine" – a name recognized in the industry for nearly 50 years. Combine all the unbeatable TrueLine Series features with a 100% accurate side register, Easy-Out Shafts, and the industries best vacuum bottom feeder. Choose the SRX option for added functionality including counting, batching, sheet gapping, and Cobra Strike Head control. The Model 220SR has 20" cutting shafts, while the Model 223SR has 26" shafts and shaft supports for demanding applications. The Model 226SR features two sets of 26" cutting shafts with shaft supports for maximum versatility. Variable speeds up to 24,000 feet per hour make short work of large jobs. 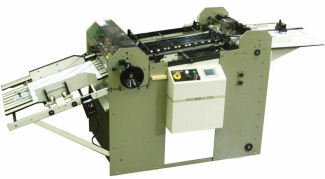 Micro- perforation, digital crack free scoring, slitting, and many other operations are quick and easy on these versatile units. A variety of delivery options are available. Built with the structural integrity and performance capabilities that are synonymous with the name "TrueLine" – a name recognized in the industry for nearly 50 years. A heavy duty workhorse in a compact package. Rigid shafts and a robust shaft support system are guaranteed to produce high quality, precision output that comparable machines cannot match. Multiple up micro-perforation, digital crack free scoring, slitting, and many other operations are all possible on this versatile unit. The Model 240XL has a single set of cutting shafts, while the Model 243XL has two sets for almost unlimited versatility. 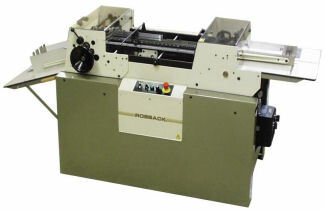 Both models feature a dependable top vacuum pile feeder and a variety of delivery options. Built with the structural integrity and performance capabilities that are synonymous with the name "TrueLine" – a name recognized in the industry for nearly 50 years. Add up to four Cobra Strike Perforating Heads for the ultimate finishing system. Both 248 and 249 Right Angle Cross Perforator/Scorer/Slitter finishing equipment reduces the time and extra handling in jobs previously requiring costly re-feeding (double pass). The big difference between the two units is that the 249 unit is equipped with tandem shafts. 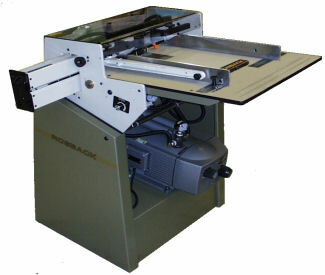 These 30-inch right-angle cross perforators roll up to other finishing equipment (in-line or right-angle) and accept work from folders, collators, numbering machines, and other perforators. With these versatile units, virtually unlimited single pass, straight-in, or 90º configurations can be achieved. 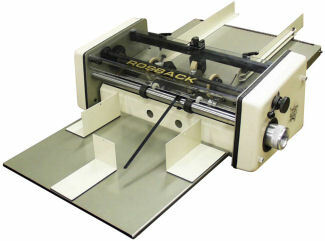 Use your Rosback 240XL Series or Vacuum TrueLine to feed onto a 248 or 249 Cross Perforator, creating a truly versatile and cost effective right angle system. Perforate, score, and slit in two directions in one pass. No more re-feeding. Turn single sheets into multiple forms with no gutter required. Strike perforation available in both directions. The 620 and 623 TrueLines with Rapid Change Modules produce the highest quality rotary perf and score at speeds up to 24,000 FPH, yet changeover in under a minute. Simply replace the module and the next job is ready to go. Perfect when you have jobs that repeat on a regular basis.